Celebrations are all around as we ring in to welcome the new year 2019 and say goodbye to the fabulous 2018. My FM brings New Year 2019 on Air Party', a party that will make you groove On your feet with DJ Elektronomist on 31st December 2018. 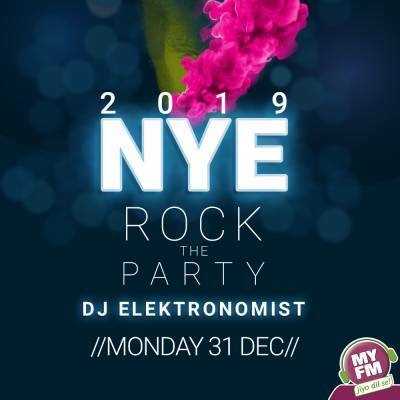 The Famous DJ Elektronomist will play some Scintillating remixes and favorite dance numbers from bollywood club bangers, Punjabi numbers, EDM Hits and much more. Enjoy and dance with your friends and make your home a party hub tonight. Turn up the volume at 9 pm today and make your home a party place as the biggest power packed NYE on Air Party will take place only at MyFM.